Do our pets start to reflect our inner souls and express it in their expressions and behaviour? 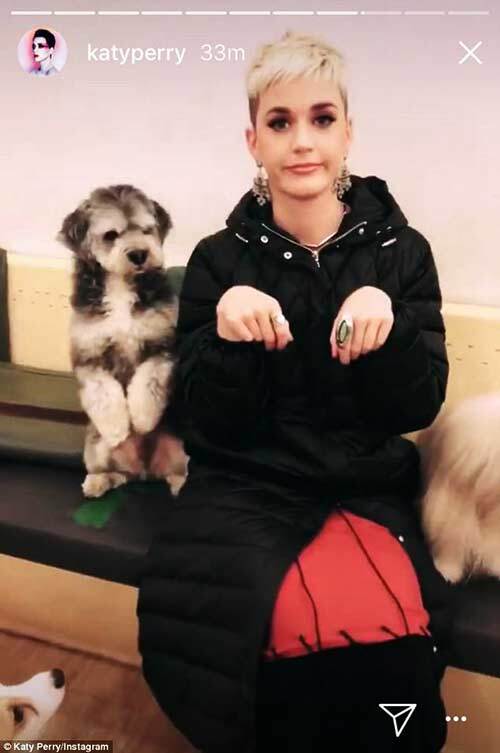 Pop star Katy Perry found a soul mate in a Korean dog cafe. As an important part of our lives, our pets can also reflect our attitude and creativity in our personal style. 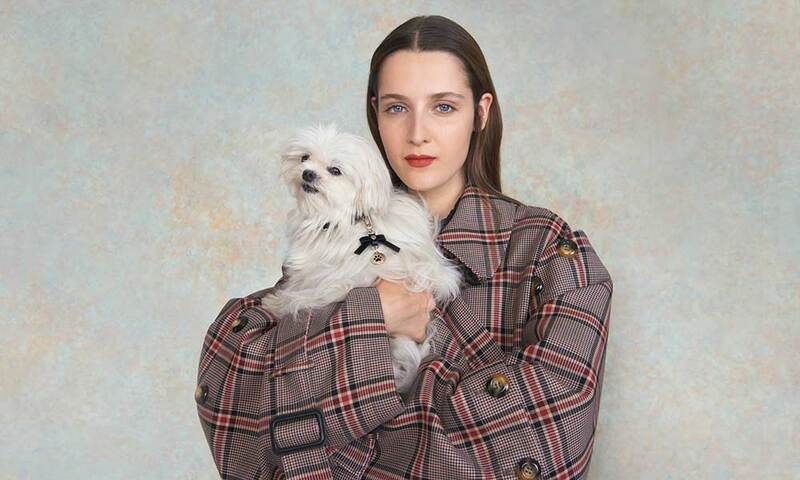 That is why Charles & Keith has dropped a five-piece pet collection to let your pup channel the latest runway trends off Paw-ris Fashion Week. Now, it can be your stylish companion wherever you go while looking like your smaller twin. Couple wear has been a thing since forever. Here, hotel heiress Paris Hilton shows us how it’s done with style. The key is having a similar colour palette, red and black in this case, but of a different pattern. This can keep you complementary without the cheesy matchy-matchy couple look. This classy pattern easily complements your black dress for a morning walk before work or more casual looks like the one pictured above for a visit to the vet. 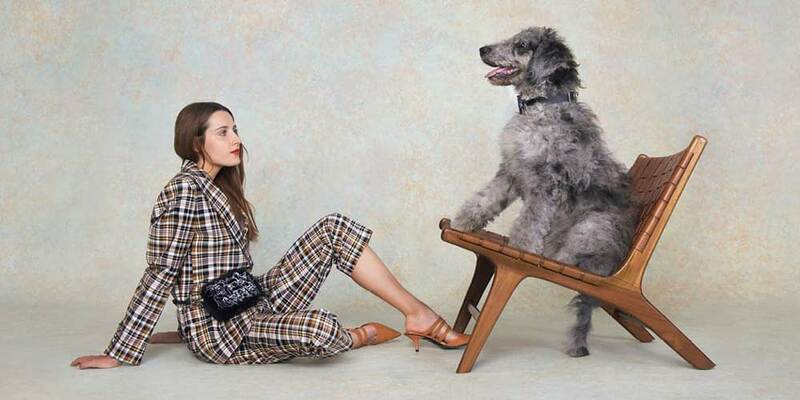 The functional crossbody bag (S$59.90) easily alludes to buddy’s collar for serious twinnie vibes that will make Mary Kate and Ashley Olsen jealous. Our favourite product of this collection is the printed pet carrier (S$109.90). With its spacious capacity and adjustable strap, you can double the carrier as a gym or travel bag. The doggy print will surely make fellow dog-loving pals go awwww. As girls, we know how far a little bling can go. A simple choker necklace or big rock ring can instantly make us feel more glorious. If your dog could talk, it would probably pick this pet collar charm (S$16.90) so it can keep up with you. 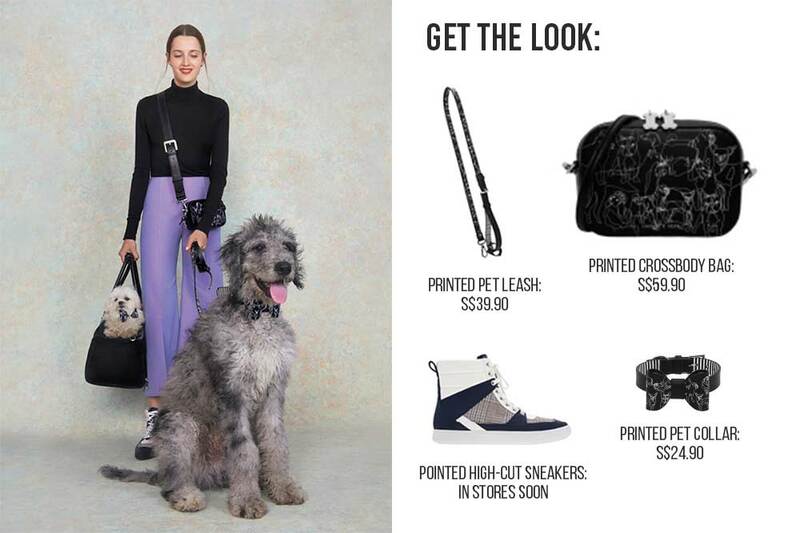 If you are having a bad hair day, bun up your hair, strap mini-me on with this stylish Charles & Keith leash (S$39.90) and let him do the talking instead. Now, your best furry friend can slay the streets of Singapore and the Bishan Park dog run. 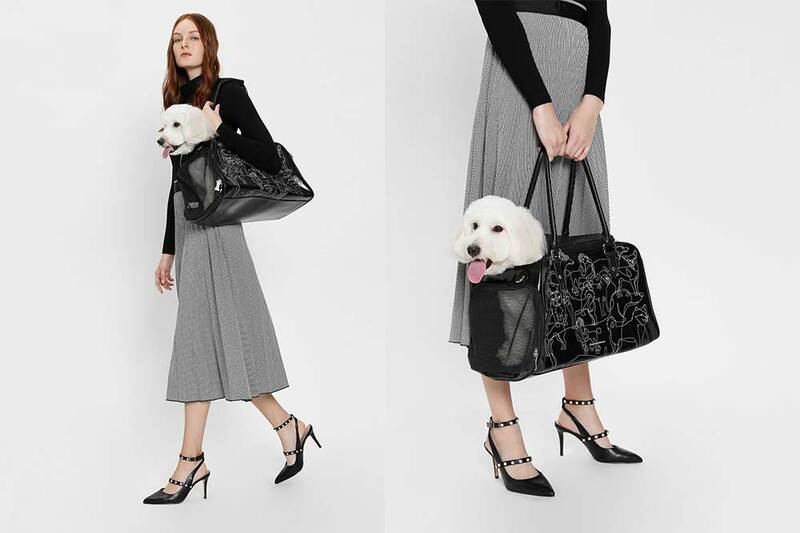 Shop the ‘A Girl’s Best Friend’ pet collection, available exclusively on the Charles & Keith website. This post was brought to you by Charles & Keith.